It has been a rainy weekend. I’ve stayed in doors for most part, except for trips to the gym in the morning. I love cuddling with this guy. He smells so good, you know, that intoxicating baby smell. I can’t believe a week ago he was in my sister’s tummy ready to enter the world. Now, he’s here and brings so much joy to all of us. I can’t help but get as close as possible to his pouty lips. What has he done in the week since he was born? Lets see, his blog would be called -> EatBurpSleepCryPooRepeat. 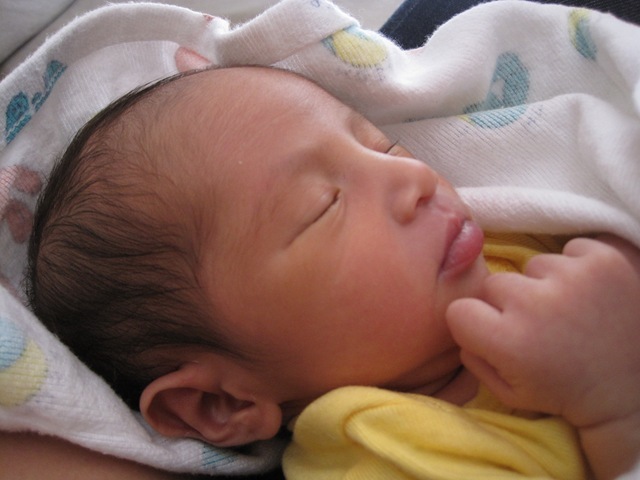 Aawww, the life of a newborn is so relaxing. 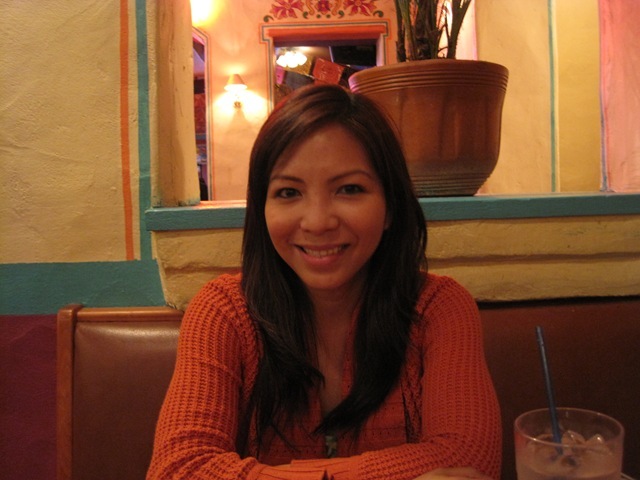 This weekend marked the end of a week long birthday celebration for the fiance. He received so many offers for complimentary meals for his birthday so we took advantage of it. With the wedding right around the corner and lets just say that the flowers might be going over budget, you can’t turn down a free meal right? 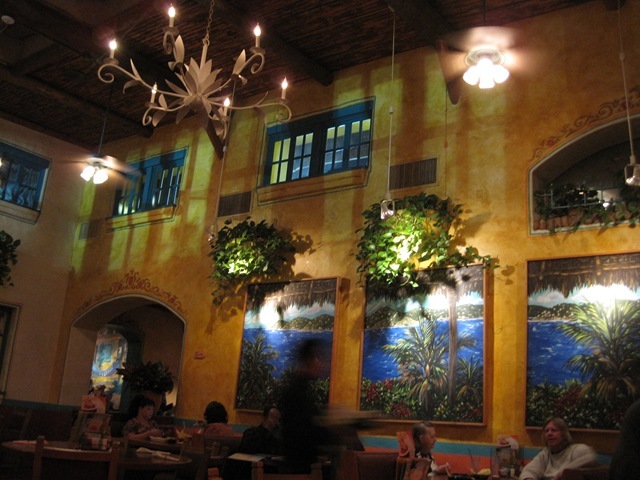 We dined cantina style at Acapulco restaurant. We started our dinner with free salsa and chips. I told myself that I would stop at one basket, but clearly, there’s crack in the those chips because 2nd & 3rd basket came and I was still munching away. 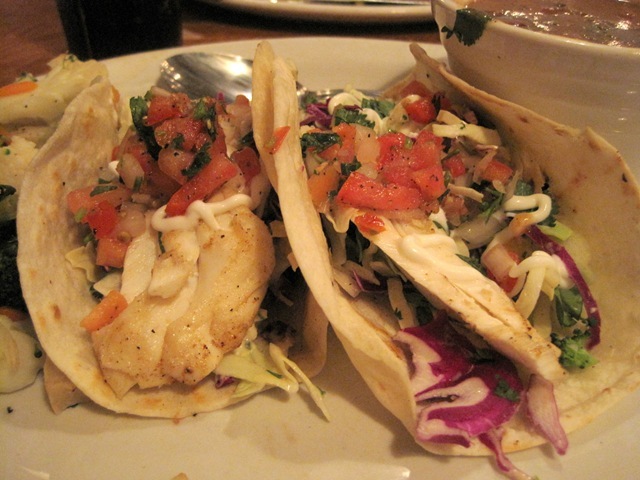 I ordered the fish taco plate. I also requested to have the fish grilled instead of being fried with batter. It tasted fresh and I loved the crunchy cabbage. I love shredded cabbage in my fish tacos. The more the better. With a side of beans and steamed veggies. Both were a bit salty for my taste. I ate one taco and the vegetables, the rest were wrapped to go. We don’t typically order dessert when we dine here, because we are usually stuffed from eating a ton of chips and salsa. 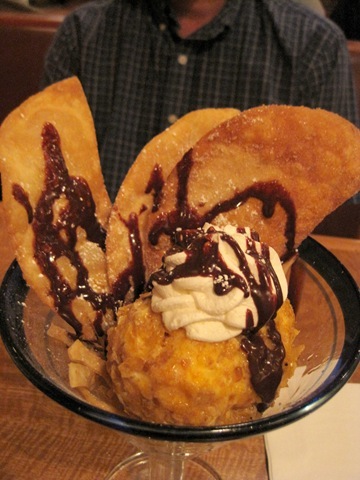 But because we were celebrating, we ordered the fried ice cream. It was huge and the fiance enjoyed it very much. I had a few bites. 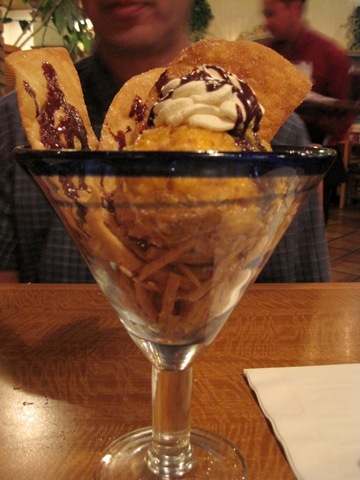 Crunchy tortillas sprinkled with cinnamon and sugar, topped with deep fried vanilla ice cream, served on a giant drinking glass. Now that Chris’s birthday celebration is over (week long celebration -> here & here), we are looking forward to the next month for many more celebrations. I really really want to travel but my birthday is a month before the wedding and we figured it would be a good idea to just hold off on the travel plans. Plus, there are plenty of festivities coming next month, bachelorette parties, bridal shower and etc. It will be a month long celebration of wedding and birthday festivities. 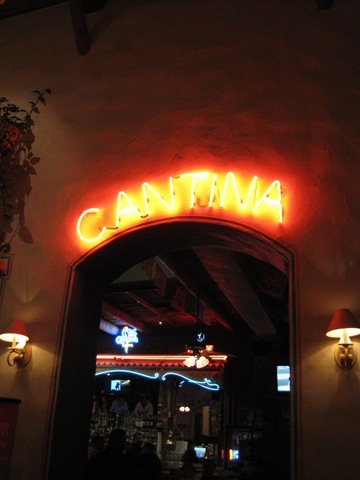 What’s your favorite Mexican restaurant? Have you eaten deep fried ice cream before? Awwww- baby cuteness! Love it! We haven’t gone out for traditional Mexican in so long. I’m totally craving it! 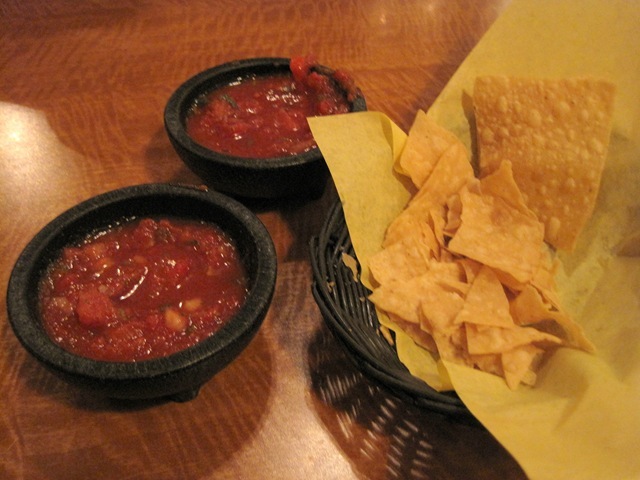 The chips & salsa are addicting. And that fried ice cream? Holy yum. I love Chipotle’s healthy options on their menu. 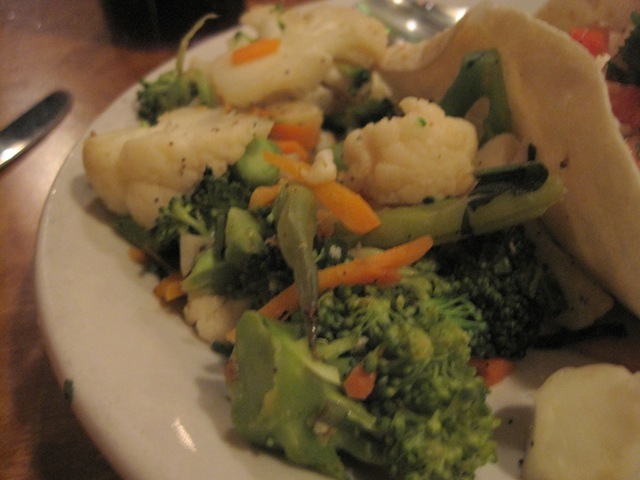 I really applaud restaurants who make an effort to offer healthier food to their customers. What a little doll baby..so peaceful. I don’t discriminate Mexican food. I’ll eat anything. Even Taco Bell would taste good to me 🙂 LOVE fried ice cream! Your nephew is precious!! He is so handsome!!!!! Love the pouty lips!! Yes I have have deep fried ice cream but NO it did not look as good as that!! yummy!!!! We are not doing anything like traveling for my birthday either, my birthday is next month, and my bachelorette and bridal shower are the week before it, so it will be just a nice dinner out birthday for me ; ) which Im fine with! Just as long as Im with my lover, its all good!! Your nephew is so adorable!!! 🙂 I love nephews, aren’t they the best?? I love my niece and nephew so much. I can spoil them but then they start acting up, I give them back. It’s so great to be an Auntie. I’ve had fried ice cream once or twice…super delish! Ahhh mexican food is probably my favorite!!! I just went to a little local place last weekend, “Su Casa” and it was delicious! Your nephew is so beautiful! I love Mexican food! It is my favorite type of food ever. I could probably eat it every single day and not get sick of it. I really like this local Mexican restaurant near me. They have the best chicken burrito that I have ever tasted. I love the free chips and salsa. It’s so hard to control yourself around that. I always end up eating too many chips. Same here, I love Mexican food. So many varieties. I try to make healthier version of the dishes at home to satisfy the cravings. 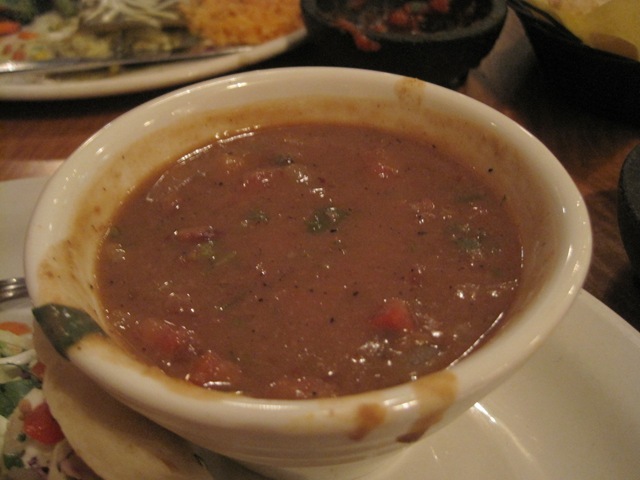 Sometimes I find the most delicious dishes at the local family owned Mexican joint too, quite surprising actually. Oh gosh, deep fried ice cream – so bad but so good! I sadly don’t have any favorite Mexican spots around here, the options are lacking. But when I’m visiting family in Orlando we go to Chevy’s. 😛 It’s a chain, but it’s not bad at all! I love Chevy’s too. 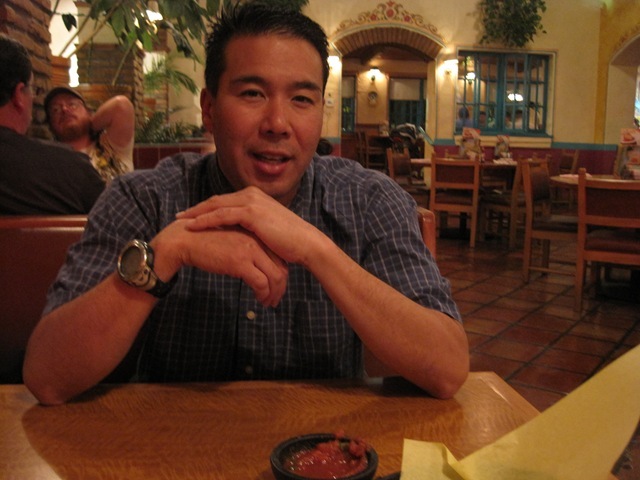 When I used to live in San Diego, I would make a trip to Chevy’s a few times a month. Sadly, there’s isn’t a close location near where I live now but I remember fondly their salsa and chips too. Their chips were so crispy and thin, I loved it. I have had fried ice cream before – oh my. 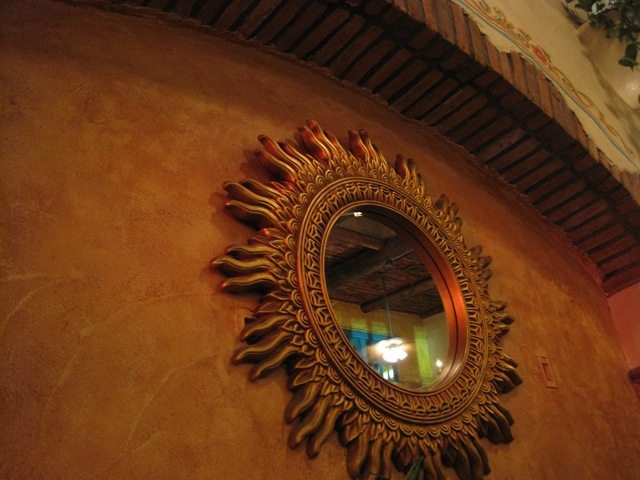 I have lots of favrorite mexican spots in ATL! Top one is probably Uncle Julio’s though! 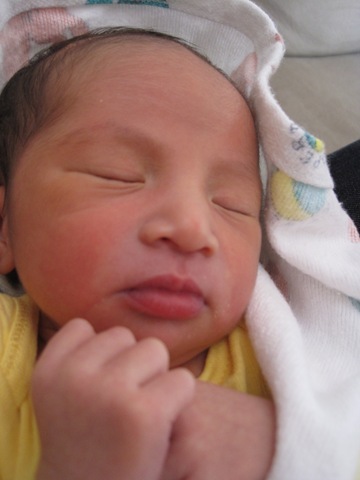 Aww he is so cute look at that skin don’t you love baby skin? !